New plant control innovations from Baker Perkins enable the complete automation of cooking and depositing systems for confectionery. They are being introduced alongside significant developments that enhance all three components of the cooking process. This is a significant two-stage step forward in plant control. 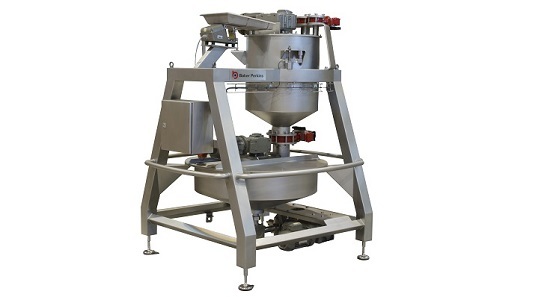 It introduces integration of the cooking system, plus linkage to the depositing and cooling operation for total plant automation from raw ingredient weighing to cooled candy. Operators control an entire line from a single HMI that includes full process visualization, recipe management, calibration and alarm handling. At the cooking stage, accurate weighing and measuring of ingredients is critical: recipe-driven controls provide full process visualization and alarms for accurate set up and efficient operation. Removing manual input of recipes, plus precise automatic downstream control of critical process parameters including time, pressure and temperature, ensures quality and consistency. Linking depositing and cooling to the cooking system ensures that the flow of syrup to the depositor matches the required output, minimizing costly waste. 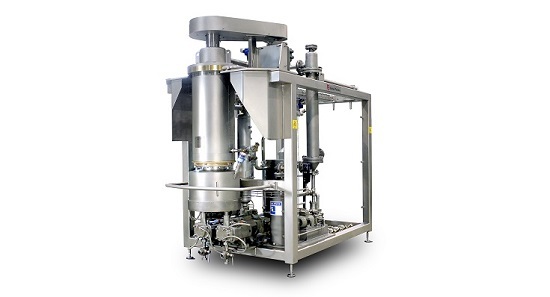 The equipment upgrades cover the Autofeed ingredient weighing and mixing system, the Microfilm™ cooker and Colour and Flavour Addition (CFA) system. The new Autofeed, Microfilm™ and CFA are all modular and specified to individual requirements. All are re-designed and re-engineered to meet and exceed requirements for hygiene, ease of cleaning and maintenance and reliability. Hygienic components and materials are used throughout. 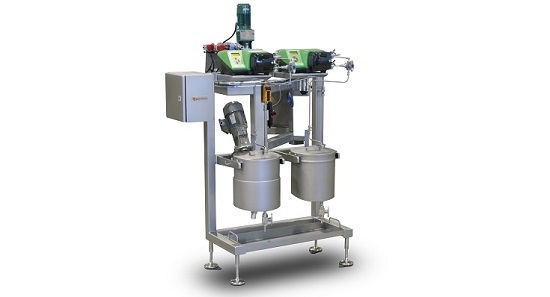 The Autofeed automatically weighs and mixes dry and liquid confectionery ingredients in batches – it is a proven, accurate and reliable method of slurry preparation. Several free-standing units have been consolidated into a skid-mounted system occupying much less floor space. The Microfilm™ cooker is used over a complete range of sugar and sugar-free confectionery products. The swept thin-film process is extremely rapid and delivers consistent high quality on every product. A new pressure dissolving system brings significant process and cost benefits. Previously, recipes included around 23% water. With pressure dissolving, the recipe water content can be reduced to around 15% as the higher pressure permits higher temperatures and increases saturation levels. With less water in the syrup, less energy is needed to evaporate it during cooking, reducing energy and water consumption. An optional mass flow meter can be added to ensure a precise, even flow of product to the depositor. It also protects the rotor from damage by preventing operation without product or with water. Additional energy saving features include an indirect condenser to minimize cooling water consumption, and systems to recover energy from flash steam and flash vapour. The Colour and Flavour Addition (CFA) system accurately meters quantities of colours and flavours for mixing into the cooked syrup, between the Microfilm™ and depositor. Accurate metering ensures consistent product quality and reduces costs by avoiding excess addition rates. Incorporating colours and flavours into the syrup at the last minute minimizes evaporation losses and allows rapid ‘on the run’ changes. The new modular design enables installations to be configured for the exact number of colours and flavours each customer uses, with heating, recirculation and mixing options available to hold the ingredients in optimum conditions. A choice of two system specifications has been introduced. Both feature a holding tank and a peristaltic pump, selected for hygiene and a high turndown ratio. In the standard system the pump runs at constant speed and manual refill is required. The high specification system includes a flow meter to improve accuracy and a pressure sensor for level measurement that triggers a low-level alarm to warn operators when filling is required.